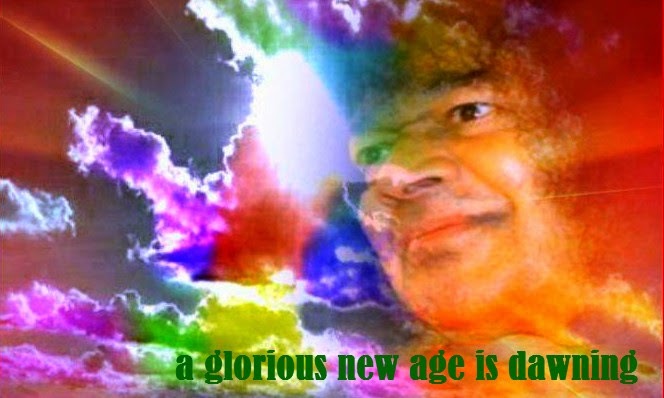 Sai Thy Kingdom Come - The Reappearance of Sri Sathya Sai Baba - I believe with absolute certainty! HomePosts by DevoteesArticles by ReadersI believe with absolute certainty! Unlike how many people experienced, the book Sai Thy Kingdom Come has not restored my faith. Instead, it produced a faith where there was void and triggered a new perspective. Moreover, it gave a new meaning and dimension to the dreams that I have been having all along. I am listing a few of such dreams here and will later go on to explain what they mean to me. (At the end of each dream narration, I have quoted relevant Swami’s statements that I found in STKC - in italics). Swami was in a town. I was following Him wherever He went. Surprisingly people never questioned me. Swami Himself asked, “What do you want? Why are you following me?” I felt a wave of cool, pure air around the Avatar. I was mentally explaining Him that I was only following His instructions. For a few days He ignored me. He was visiting an old devotee and I was in his residence as well. Soon I was entrusted with the task of taking food to Him and taking care of His needs. As mentioned, no one questioned why I was there. Swami also really didn’t speak to me. Then gradually His approach changed and one day we discussed some building blueprints. I was showing Him a couple of designs I had drawn in a notebook. What is interesting here is, while I am good at drawing, it wasn’t my hobby since high school (that’s around 10 years ago!). In fact, my career doesn’t require drawing skills in any manner and so the last time I seriously drew something was for an under graduate course (that was around 8 years ago!) (Kindly note: I am not hinting anything here. In fact, I believe everyone is going to be given special attention by Swami and it is only a matter of time before that happens). During May 2013, I was returning home with a few devotees after a disaster relief project. They started to discuss the meaning of Shivoham. Beyond a point I felt very bad that I couldn't understand what they were speaking and perhaps I will never understand what it means in this life. 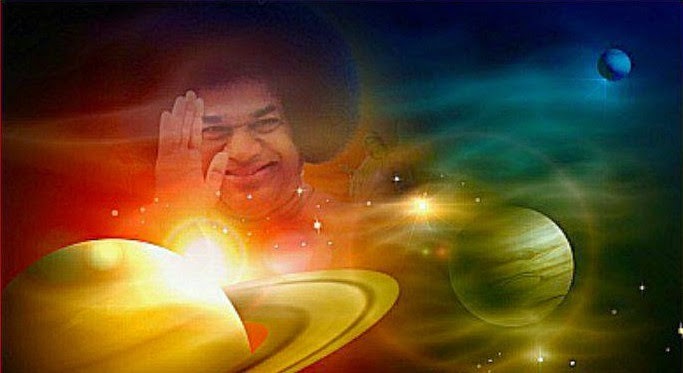 That night, I had a dream in which Swami gave visions from different planets and celestial bodies. It was a totally different scene as opposed to how planets are shown in the science videos. They emitted different colored rays and Swami's face could be seen on them. I could sense the meaning that the Cosmos is Shivam and Shivam is Cosmos. This understanding is Shivoham. Now I should bring to your notice that I never desired to have such a dream in my life. One might say I read about such predictions (that Swami’s face would be seen on the moon) and later they manifested as this dream. But I came to know and read Sai Thy Kingdom Come only during the month of October 2013 (in which there was a prediction about Swami giving darshan from multiple locations). After reading that, watching the interview video and reading the newsletter (which was also not released by then) of Dr. Rakesh Kumar in which he says that Swami will be seen on the moon and other bodies, I figured out Swami gave me a glimpse of the future as well. Swami visited a city where apartments were very crowded and people were trying to get a glimpse of Him however they can, ignoring safety standards and pushing each other atop buildings. It appeared to me like a place in South East Asia. Swami entered a jam packed indoor stadium. There was tremendous enthusiasm and Swami walked briskly to give a talk. He was not with a translator, and I felt this time He decided to talk in English. Not everyone was in white and white, clearly showing it was the general public who rushed to get His darshan. It looked like a pilgrimage path deep inside South India. People could be seen walking, taking rest, talking to each other on their way. It was a mountainous region. All of a sudden Baba appeared on top of a hill. Then one person at the foot of the hill pointed to Him and exclaimed, “Look! That’s Sathya Sai Baba. He was dead. Now He has come alive. He must be God!” Soon a very vast crowd was formed and prostrated before Him. Now how did the crowd look like? There was no place to move for anyone; literally. I was in a large auditorium. I could see some familiar faces including Sai devotees. It wasn’t a Sai event and seemed like a general, social one for which people would buy tickets (perhaps a movie or music concert). I could see people from different ethnicity. While the event, whatever it was, was about to commence, I could see Swami appearing somewhere close to the front rows. It was how the flame of a candle would appear when lighted; slowly, but soon becoming bright. I was almost in the last row of the auditorium with a friend from my Sai Center. I spotted Swami and cried with ecstasy, “Swami! Swami!” and ran towards Him. As this wasn't the decorum in such a place I was scoffed at by the event management people who tried to control me. Apparently, not everyone could see Him. Ignoring the crowd control protocol, I rushed to Him and got padanamaskar. Though it was a dream I indeed felt it. Swami let me take it and I was soaking His feet with my tears. Within a few seconds, everyone was able to see Swami. There was a big buzz around and while some people of the Indian origin recognized Him as the Guru who was dead, others had no idea and started using their smartphones to google about Him. The few Sai devotees assembled there were very happy about it. Ultimately everyone started focusing on Swami. Swami took the ultimate charge and paced around while hinting He has got some very important stuff to say. The auditorium’s internal team who control the audio/visuals thought these were all a part of the hosting group’s theatrics. But they were in for a shock when the lights and sound they were controlling didn't work but were acting at the bidding of Swami. 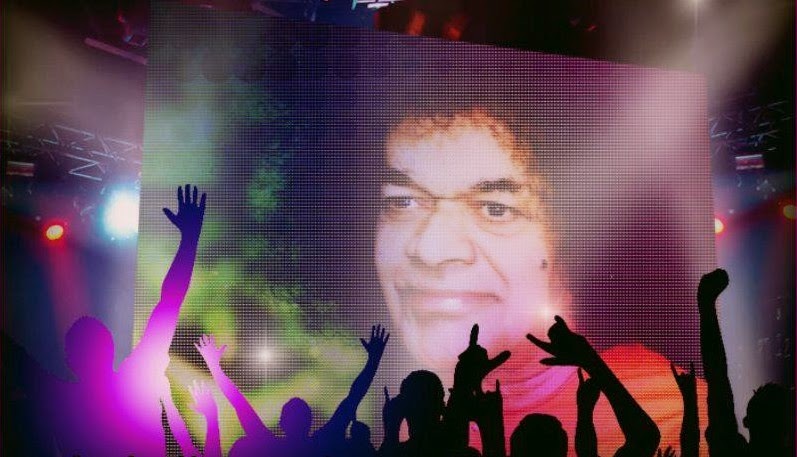 Meanwhile Swami looked at the audience and commanded, “Switch off your cell phones!” and continued to walk. I was just about to text a friend of mine with whom I usually have discussion on Swami’s return. I felt I could text my friend and then switch it off, so continued to operate. Swami came by my side again and thundered, “I said switch off your cell phone”. I said, “Yes Swami!” and tried to switch it off in a hurry but in the confusion couldn't do it quickly. Swami walked by me the third time and said, “I know you won’t listen to me”. He then looked at the audience and told them He will now reveal the secrets of ancient texts from various religions that talk about God. As if understanding His intention, the projector switched on. Lo and behold! We could see scriptures and events from various religions on a big screen as Swami demystified them. In fact, people at that point realized how, for many centuries these texts were wrongly interpreted one generation to the other. As He was explaining this, at His will, the auditorium started to expand and the ceiling parted to show the sky. I cried and asked everyone to look above. There we could see our own Milky Way and the other parts of the Universe. Swami explained a lot many secrets. Swami was talking for around four hours. At the end as people dispersed, everyone had a feeling that there was God within oneself. There was total spiritual transformation. People didn’t have the motivation to go and surround Him as they wanted to in the beginning. As I was about to leave, I went to Him to prostrate. Swami gave me some personal advice. The dream ended as everyone dispersed with love and peace within. This is the most beautiful dream I had to this date. One of Swami’s constructions (such as His university or hospital in Prashanthi Nilayam) got immersed completely due to a big flood. People were dismayed and were running for shelter to save themselves from the terrible calamity. Then I saw a majestic vision. The sky was deep blue. The white clouds in it parted and the spirit of Swami showed itself. It descended to the earth and what did I see there?! The spirit was endowed with a body and it was our Baba in His physical form. The joy of people knew no bounds. Swami established a kingdom (yes! That was the first word that came to my mind as I woke up). In His rule, there was no poverty, illiteracy, pain, theft, or disease and people were extremely happy. There was no place for any of the six vices. This is the reason why I say it is the most beautiful dream I had until now. There was total bliss under the auspices of Swami. I felt very happy because today, only in a dream can I experience such a blissful state. I don’t want to reveal much about this dream. It pointed to an impending self destruction of the humanity and the earth itself in a very terrible manner. What I can reveal is that it was post Mahasamadhi and there was a huge calamity set to fall upon mankind. However after a series of adventurous events and prayers to Swami, Bhagawan wrote on the sky (yes! The bright blue sky was His board and He wrote His message on it in white letters! ), that He will save Humanity from destruction and that no matter how great a catastrophe is, greater will always be the Will of God. The dream started with many people of the Islamic faith beginning to follow Swami (after His return). Although it was gradual, the acceptance and faith were steady. I saw Swami leading a procession to His own MahaSamadhi (the body He left). The people were actually leaders of this faith who were from major places of importance in their culture. Swami performed an ancient religious rite over the MahaSamadhi, thereby imparting the significance of a Samadhi. The people around Him were astounded that the activities He performed were impressively flawless and at the same time demystified some ancient teachings and traditions. In fact, some hadn't even heard or read about it. No one questioned or commented because by then (through His return), they knew who He was. "I am making a promise today that the people of all the countries, viz. Pakistan, China, Germany, Russia, will be united..."
Swami is returning. Period. None of the events in these dreams have happened even marginally in real life already. For example, Swami appearing in South East Asia. Perhaps certain elements of the dream can be metaphoric, such as a terrible calamity representing how majority of humanity has completely detached from spirituality and is totally involved in materialistic pleasure. But the element of Swami Himself cannot be metaphoric. Swami is Swami wherever He appears. In all of these dreams Swami is crystal clear, like an ultra-high definition telecast whereas other objects or people were sometimes blurred. I could even see the creases in His robe as He walked. What do these dreams mean to me? I believe with absolute certainty that Swami is going to return and the whole world will be at His feet as He declared. Yes, my character is flawed and I may not deserve to see Him (again). Perhaps, I may not be there to witness that majestic moment and the glorious years to come. That could be the reason why, the Lord out of His mercy, is giving me a vision of the future. People ask if I believe in Swami’s return only because of reading the book. My answer is this: When Swami doesn’t say anything to an individual about His return, the book, or Nadis, or divine messages received by devotees, etc. become their primary source of belief. But when Swami Himself has appeared in my dreams so many times (of which I have listed a few here) and indicates His return, then the dreams become the primary source (ranking next to the fact that Swami Himself has indicated how glorious the Earth would become through His discourses). Everything else becomes secondary. Again, I hope I am not mistaken. I love the book, video interviews, and have been following the blog and website with every post and comment. The way I look at the question posed to me is this: When Swami says He will visit our home on a particular day, would we call the officials in Prasanthi Nilayam to confirm it? The dreams are not about me. It is about Him. One more thing. People ask, ‘Now who will be the chosen one?’ (to carry forward His mission). Nobody is the chosen one. In fact, God needs to be the “chosen one” because the reason for today’s calamities is that people did not choose Him in their life. I am surprised that many people dismiss the idea of Swami’s return the moment they hear it. Well, of the myriads of books on Swami, if you take any two, they are generally the same. That is, how the author knew about Swami, how he or she was initially skeptical, the miracles they experienced, and their thoughts on Swami’s teachings. However this book is entirely new, small, and yet people are averse to opening up their mind to such a concept. Again, this is not to belittle anyone. But if you realize that you are ready to read a thousand pages book on Swami’s miracles in other’s lives but not a hundred and eight pages book on His own statements, aren’t you missing something? I specifically like the part where Bro. Sreejith says Swami will not change His plans. Because when God changes His plans, then the distinction between man and God disappears! In addition, beyond a point, Truth cannot be subjective. All major religions and faiths, if true, must concur and be honored at the same point in time, and that’s exactly when Sanathana Dharma is restored – which is verily the mission of the Avatar. There will surely be a time when Truth and Truth alone triumphs! "In His rule, there was no poverty, illiteracy, pain, theft, or disease and people were extremely happy. There was no place for any of the six vices." Awaiting For The Day Of Arrival. Jai Sairam! I have got books remaining stocks of book Tamil translation of SAI THY KINGDOM COME; if need please inform me. It is our unwavering faith in Baba's return that will allow Him to resurrect His physical form. No need trying to convince those who do not believe. They will soon enough. It is enough that we continue to increase our certainty, and longing until finally, Baba simply cannot wait another second. Then He will reappear in all His glory and the world will know the TRUTH and the TRUTH will set the world free. Jai Sai Ram! Very cool dreams and insights. Thank you. A Course In Miracles and Baba's return: When He shall appear we shall be like Him for we shall see Him as He is. And every man that hath this hope in him purifieth himself even as He is pure. Swami,s subtle form resides in Muddenahalli. I have experienced the happeninings myself last 3 weeks. In one discourse He said before carsting off the matierial body it was primary shcool . Now it is high scool. when Prema Sai comes it will be University. To understand what is unfolding in Muddenahalli is advance heart to heart connection. I feel as though lifted up to the cellesthial world since i experieced my Lord in Muddenehalli..He has not gone anywhere. SAI RAM.. I too heard the happenings in Muddenahalli.. Planning to visit that holy land on Christmas.. Can you elaborate the proceedings there? I have been looking all over the Sai news in internet across websites but no one has written anything about what has been happening in Muddenahalli since past 3 weeks.. What I have heard from one of my aunts who is a permanent resident of Puttaparthi is astounding about the happenings in Muddenahalli.. I am quite surprised why no one has written anything about it yet.. It would be great joy to everyone here to know the happenings there..
Santosh, My visit to Muddenahalli was accidentle. But time and the date fall on perfectly. as Swami wanted me to experience this. There are bujan, a speech and Swami,s dicourse on Thurs Day and Sunday..You have to be there before 4.30.pm As crowds increasing earlier the better.No one apperently Like to talk about it. Puttaparthi maintain complete seilence. about it.Some goes and can not grasp what is happening. As Swami said this is high shool comprehesion.Bujan starts at 5pm. I hope this will help you Santhosh. SaiRam Chitra and thanks a lot for your detailed inputs. And it feels astounding to see all of these happenings. I can definitely understand why Parthi is silent about this. I will visit on Christmas day to experience this..
Sai Ram Santosh, After your visit please let us know how you feel. If you go like few hours early Go to the infomation center. There This Sweet man Babu talk to every one gathered there about latest interactions of Swami With sri Nurasimha Murthi. As crowds increasing things might have changed . But we were lucky to hear him.My latest visit ques were longer at Ganesh gate. But once the Gate opened It is your streanth take you up the hill running up along the spiral road to get there first to Swami,s residence "Sai Anandam". Hope you have a wonderful trip . Sai Ram Chitra.. I will surely post my experience here. We are planning to start early morning on Thursday (25th December) from Hyderabad and should reach Muddenahalli by 2 PM. We will go as soon as we can and ofcourse we are travelling that far to experience Swami..!! Sai Anandam is such a beautiful residence.. Had actually visited Muddenahalli early this year and even then, the experience was so peaceful and astounding that I cant put it in my words.. People there are also very kind as you said.. We had a short bhajan session inside Sai Anandam back then and they took us along the campus that time and it was so beautiful and divine..
Sairam. Please confirm with someone in Muddenahalli if "Sai Anandam" will be open on Christmas Day. As far as I know, repair work is going on and "Sai Anandam" might be closed on 25th. Sairam to All. I have visited Muddenahalli on 25th December and below is my experience briefly..
We reached Muddenahalli at 01:30 PM and were cordially invited into the campus. We were asked to have lunch in the canteen and wait till 4:00 and we will be allowed in to Sai Anandam for "Swami's" darshan. We asked can we meet him at that time and they said we cannot because he is having lunch with foreign devotees as it is Christmas. We nevertheless waited in front of the canteen where "Swami" was there and in 15 minutes he came out. He spoke to some of the devotees assembled there. Mind you! There were 100s of devotees already waiting out side. He then stepped into his car which was decorated same as how it used to be when he was in Parthi. He blessed the crowds assembled along the way (we were one of them) with abhaya hastha and on the way to Sai Anandam, he spoke to children along the way and entered Swami Anandam. We assembled at the gates of Sai Anandam at 2 PM and waited for the gates to open at 4 PM. Foreign devotees were called inside first as it was Christmas by "Swami" and then the people, families were being called for interviews. We were allowed in by around 4:30 PM and we waited till 6 PM for him to come out as he was busy with interviews to some blessed families. After brief Bhajan session, V Kumar spoke and then "Swami" gave his discourse which was strikingly similar to what I heard over the years in Parthi. He delivered his discourse for around 30 minutes and he came for darshan where he spoke to devotees in strikingly same way as he used to speak before and as if he knows them in and out. He took letters from some of them and few instances blowed my mind where he lovingly scolded few devotees for their ways. All along, he spoke as if he knows them in and out. Overall, I don't want to take sides here. I donot even know his name whom "Swami" is using to deliver discourses, interviews and darshan. But one of the devotees were ecstatic that he gave him ring. The way he is speaking is strikingly similar to our beloved Swami and he is talking to everyone as if he knows them. Devotees are thronging from Parthi, especially foreign devotees. And "Swami" will not be there in Muddenahalli between 27th - 31st December as he is visiting Australia and Singapore as he was invited by devotees there. The organizers in Muddenahalli are talking as if "Swami" is there in the campus. Sai Anandam is a small place and there were huge crowds and they will inaugurating a huge hall in January. Next day we visited Parthi and Sai Kulwant Hall, bhajan, Samadhi darshan felt even more divine and ecstatic..!! Thank you very much for your details of visit to muddenahalli. I am planning to visit for Swami's darsan on 15th jan. but can you please write whether you are able to see swami's subtle form or you are only following sairam madhusudan reddy, who is seeing and listening Swami. Is gifts Swami is giving, is suddenly appearing in the air. can you write something on this. Thank you Santosh for detailed experience of your visit.Swami is in Brisbane,Australia at present. It's wonderful to know you have personally experienced Swami's subtle form. Your post is providing a moot point though. Could you share your opinion on Swami's return in the physical form? Do you think, based on your experience, that this subtle form is not the final one and there is more to come in this Avatar's era? Sai Ram Naren, Who would have thought we will have Swami in Muddenahalli giving discouses or metierielzing gifts and so on aftert he Samadee.This is realy happening. Very difficult for me to explain my understading here but for me surely the next surprice is walking in Sathya Sai fom and much yonger stunning form ,we will witness.All the dreams we have heard about, all the predictions we have read about ,Swamis own words they all gave us hope .Now Muddenahalli.This is my opienion. Let us all light the nine lamps as Sima Deven said and wait for the next episode. No one has a final word about this .Only Swami has it. Chitra, Naren and Santosh, this is a fantastic Divine Dialogue about you three are having about Sai events in Muddenahalli. I have a question for Chitra: You mention that there is a twice-per-week session of Bhajan, Speech and Discourse. May I humbly ask, who gives the Speeches? And are the Sai Discourses quotes from when Sathya was in physical form prior to April 24, 2011? Or, are they New Sai Discourses, coming from a student, of the Muddenahalli Campus, who is seeing and/or hearing this "new" discourse from the Subtle form of Sathya Sai? Sai Ram Jim, I am being very careful here. But I have been following this blog for sometime. and I am also waiting for SWami to come back in full glory . So I wanted to share this drama unfolding in Muddenahalli. Wow, Chitra, This is Absolutely Fantastic. Next step, I think, is scheduled for Christmas, 2014...."Parthi" Love you. Thank you. This is how I feel Jim. Let us spend every moment thinking of the beautiful Lord.Sai Ram. please write in detail about happenings at Muddenahalli. you have written that you have written some deatils in the blog. i could not understand which blog. can you please write in details about a day's happening at muddenahalli and how the devotees are receiving gift's from swami and where swami used to seat and how devotees are going near Him for padanamaskar. all the sai devotess will be grateful to you. Sai Ram Nayek, I have been twice to bajun in Muddenahalli and one morning for homam. Thursday and Sunday there is bujan in sai Anandam where Swami resides. a building on the top of the hill.At 4.30 we were told to go to gunesha gate and wait there until the gate opened.My first day there was only about 30 people on 3rd day there were about 300.people all lined up at the gate. But once the gate is opened it is your sheer streanth take you to the mandir . because you have to run along the spiral road up the hill.At 5pm bujan starts Bujan sessions are absolutely beautiful.after that Sri Nurasimha murthy intoduces the guest speaker. I heard V kumar speaking on frist day. He is a student of Swami,s collage.We know him well in Australia.Second day Reverend Chales Ogoda spoke. You will come to know him from Ted Henry,s Souljourns.After the Guest speaker Swami,s Discourse. Swami,s discourse come through the chosen boy.There you will be thinking, douting according to your understandig .I went through the same thing .But in my mind had no doughts.But it was heard to take it. On the way back I was given expanaions clear all my confusion I should say. (.they are personal). Swami said that now it is highscool. 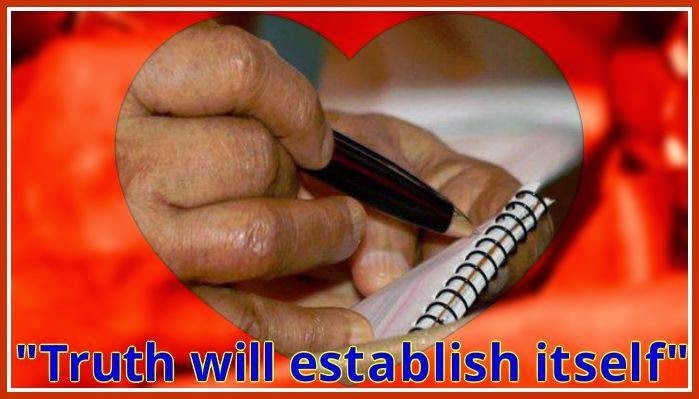 So we have to grasp this subbtle Sathya Sai carring on the mission until 96 of age. As I understand once said Sathya Sai form will be there untill 96 He cannot change it. Even the God does not change the natural flow of the univers.Even though Swami absorbed greater amount of negativity including nuclearexplotion in Japan and many other poisons from the envirement He had to discard the body but 10 years gap had to be fullfilled in this way to conclude the mission The glorious second comming of the matierial body will be added to it somewher in these 10 years.Sri Narasimhamurthy translates the discourse. My first day Swami Materielized a chain for a foriegn devoteein a wheelchair. ( I took a pphtoe of it)On the day of homam He came in the car to the Place took the arathi created a chain for the priest. He later showed it to us. We have a picture of that too.Third day He created a watch or a braislet. for Reverent Ogoda.I saw from bihind Some thing put on his left hand I thought it was a watch.Not sure. Sri Narasimha murthy said Swami asked him to build a hall which would accomodate 5000 people .The foundation will be laid on Makarasankranthi. I hope I have given you enough details according to what I have seen only. I was ther only 3 weeks.Now things must be very different as crowds multiply in hundreds. Hope this helps and remember this is my very own experiences and idears.You are in India why not go and experience Nayek.tell us how you feel after that. As we are brothers and sisters, we should not thank each other. Still, I want to thank you on behalf of myself, my family and friends and all sai family, because of the great feed back provided by you. If Swami wish, I shall visit Mudenahalli during Sanskranti on 14th / 15th Jan'2015. I further request you to kindly send the photographs taken by you on my e-mail address nayak_pc yahoo.co.in. Why shouldn't we thank each other? Isn't expressing gratitude a sign of respect? Do brothers and sisters not thank each other? Sairam! We can never limit Swami in known physical laws. Is He not guarding and guiding the entire world of devotees by whispering within their souls, guiding them invisibly. Hence it is no wonder that a particular boy is chosen to exhibit Swami's ways, the manifestations of gifts, the beautiful discourses etc. We can not say, it is wrong since it is unfamiliar territory for human mind. Already, last year I heard a boy from Srirangam in Tiruchi exhibiting similar manners and giving Dharsan. However this book is entirely new, small, and yet people are averse to opening up their mind to such a concept. Again, this is not to belittle anyone. But if you realize that you are ready to read a thousand pages book on Swami’s miracles in other’s lives but not a hundred and eight pages book on His own statements, aren’t you missing something? The beautiful dreams! Today only I got the opportunity going line by line. What a tremendous dream experience. But one thing that struck me is the devastating flood that one of Swami's institution completely submerged. It is dreadful even to think about the level of flood! May Swami protect all of us and save us from this catastrophe!